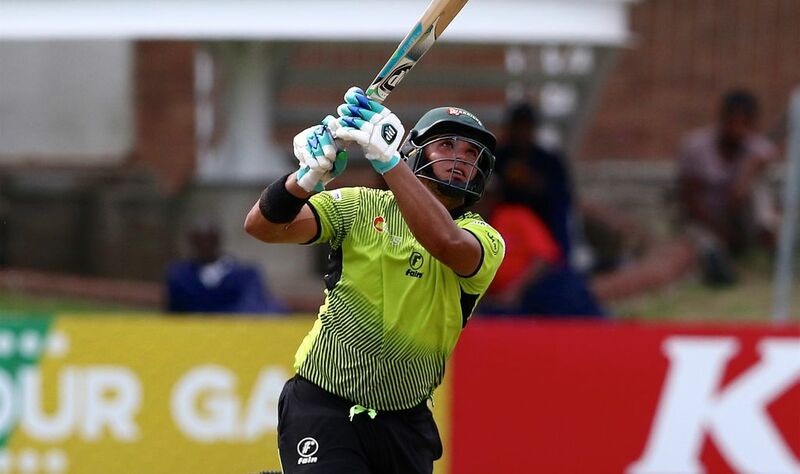 The uncapped Rassie van der Dussen and Gihahn Cloete have been named in South Africa’s T20I squad for next month’s series against Zimbabwe. Van der Dussen featured for the St Kitts and Nevis Patriots in the recent Caribbean Premier League. Fellow batsman Cloete, meanwhile, impressed for South Africa A against India A and Australia A earlier this year. The talented Khaya Zondo, meanwhile, has been recalled to the ODI squad – and the hard-hitting Christiaan Jonker included for the first time. Wicketkeeper-batsman Quinton de Kock and the left-handed David Miller have been rested. “The selection of Christiaan is part of the ongoing process of our Vision 2019,” said Cricket South Africa national selection panel convener Linda Zondi. “He had an outstanding debut in the T20 format against India and we want to see whether he can convert that finishing form into the longer white-ball format as well. “We have also recalled Khaya to the ODI squad as another part of the pool-broadening process. He had an outstanding quadrangular series for SA A in India against high quality opposition, scoring our only century and having a strike rate of 95. “We still have ODI series after this one against Australia, Pakistan and Sri Lanka as we get closer to finalising our likely World Cup squad. “We are resting Kagiso Rabada from the T20 series as he has a very busy season ahead of them. Captain Faf du Plessis has been named in the T20I and ODI squads, subject to fitness. Fast bowler Dale Steyn, who has returned from a stint with Hampshire in the County Championship, has also been selected for the ODI collective. “Faf continues to make a recovery from the shoulder injury he suffered in Sri Lanka,” said team manager and doctor Mohammed Moosajee. The African neighbours will meet for three ODIs and as many T20Is, from 30 September to 14 October. Kimberley, Bloemfontein and Paarl will host the ODIs while East London, Potchefstroom and Benoni will host the T20Is. ODI squad: Faf du Plessis, Hashim Amla, JP Duminy, Reeza Hendricks, Imran Tahir, Christiaan Jonker, Heinrich Klaasen, Keshav Maharaj, Aiden Markram, Wiaan Mulder, Lungi Ngidi, Andile Phehlukwayo, Kagiso Rabada, Tabraiz Shamsi , Dale Steyn, Khaya Zondo. T20 squad: Faf du Plessis, Gihahn Cloete, Junior Dala, Quinton de Kock, JP Duminy, Robbie Frylinck, Imran Tahir, Christiaan Jonker, Heinrich Klaasen, David Miller, Lungi Ngidi, Dane Paterson, Andile Phehlukwayo, Tabraiz Shamsi, Rassie van der Dussen.